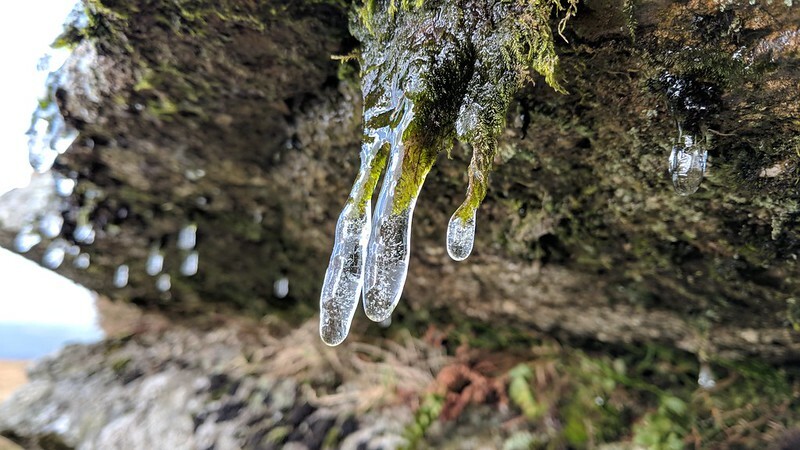 Paul Buck, Tim Jenkinson and I were all set for a decent length walk to Broad Falls last Saturday (when I write this), but as usual, it was all down to the weather, as I regularly start these posts off with. Not to be defeated we set off from Castle Drogo, a massive mansion style castle currently going under conservation work, in search of many tors, rocks and crags. This walk was a last-minute decision really. It is, at the time of writing, half-term and I really wanted to get out immediately. Add on the fact that just the day before I had completed two practical Drama exams for my GCSEs, I wanted to reward myself. Continuing our exploration of Shaptor Wood we return to the T Junction, leaving Northcombe Copse behind. 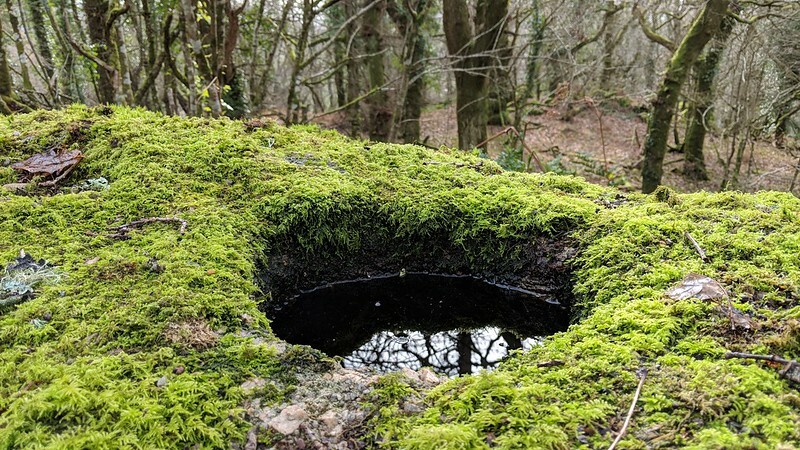 Here you should turn right to head deeper into the woodland. 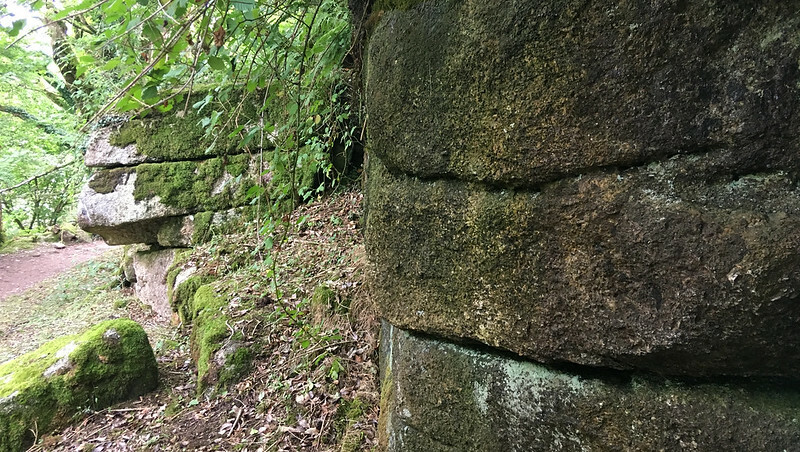 Not long after this, a small track heads off left, clearly used by the bouldering community as a way to ascend and access 'Lower Shaptor' at SX 8091 8061. 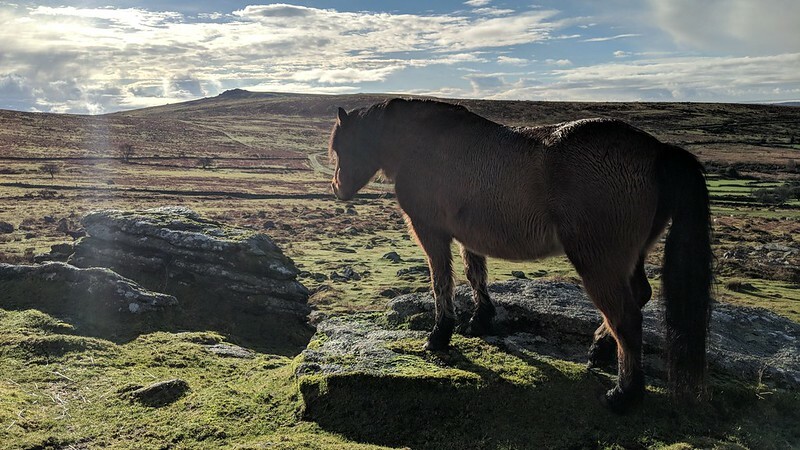 With the likelihood of snow appearing on the high parts of Dartmoor, as guaranteed by the Met Office, I was keen to see it. 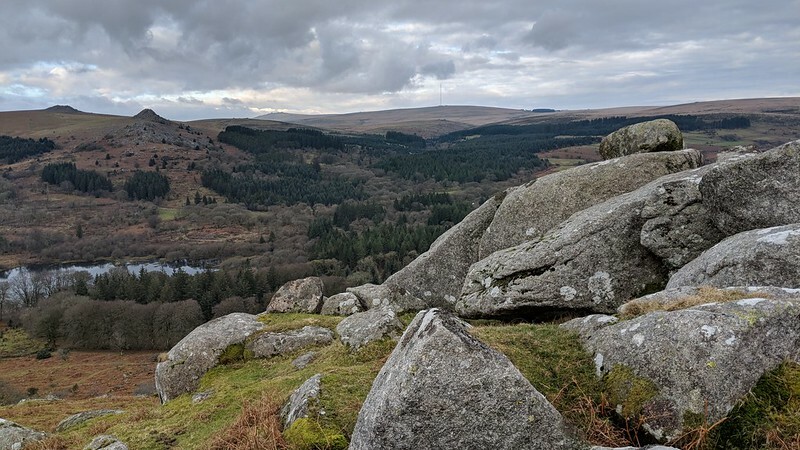 Well, with all respects, predicting the weather is difficult, especially for Dartmoor, but the so-called snow didn't happen, the only evidence on the whole walk was the lightest dusting at the highest point of the walk. 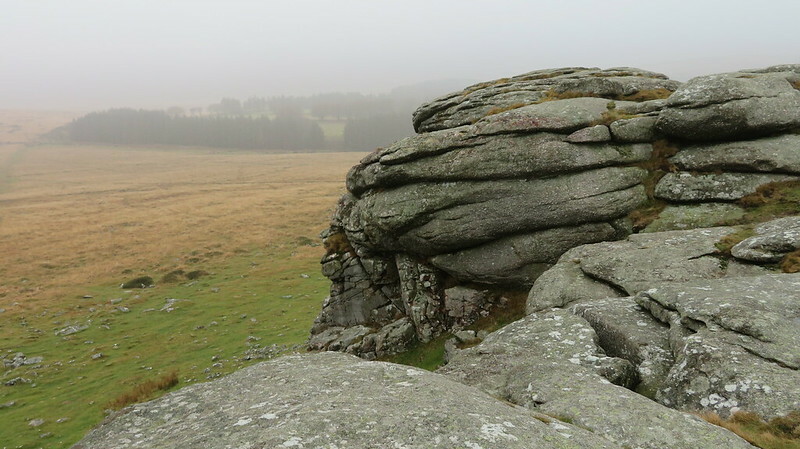 Ever since last visiting Sheeps Tor (not documented), I have wanted to revisit the Burrator area. 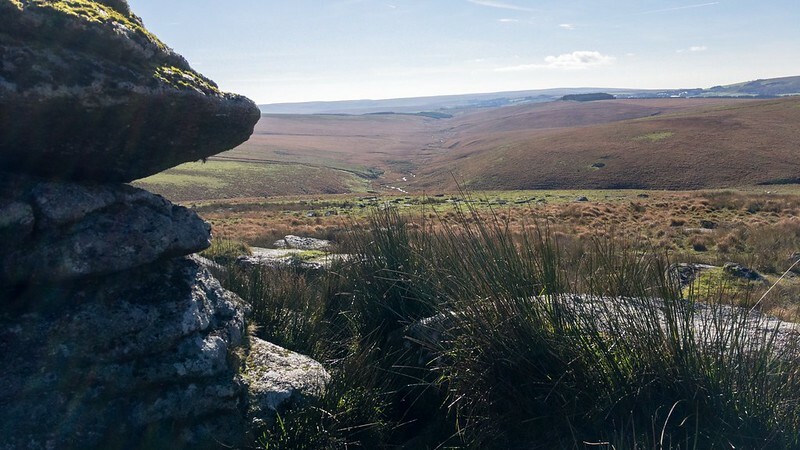 It's a stunning part of Dartmoor which is more dramatic than other areas of The Moor. 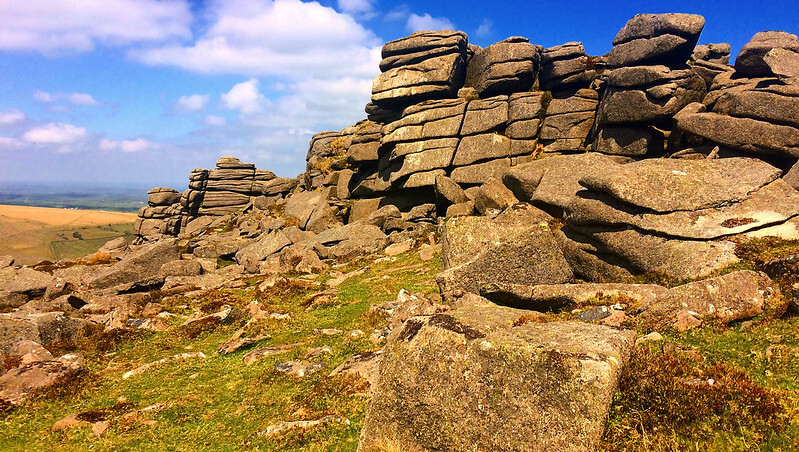 Add on the fact that when I was last at Rough Tor I missed the rock basin; link HERE, a walk here had to be done. This is one of those walks that was dependent on weather. 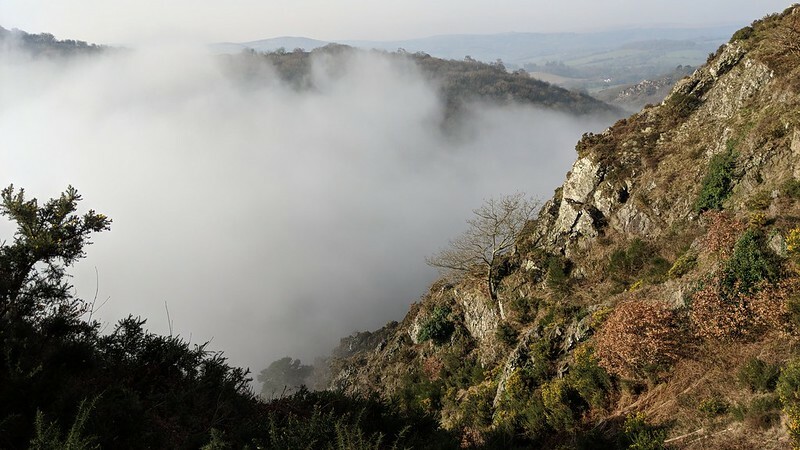 It was misty all the way to Moretonhampstead on the bus from Newton Abbot, and I became pessimistic about the day ahead. However, this turned out to be my favourite walk in 2018. Read more and you'll see why! 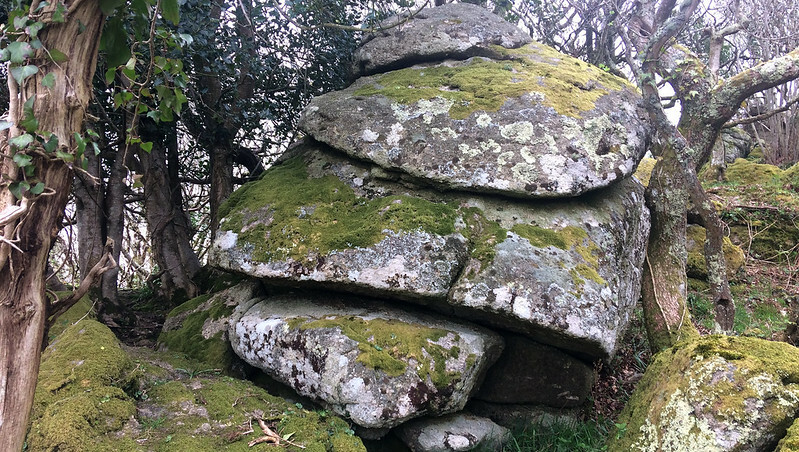 This is a very good tor bagging area; this route alone contains 12 bags, 13 if you include the forbidden Vixen Tor. 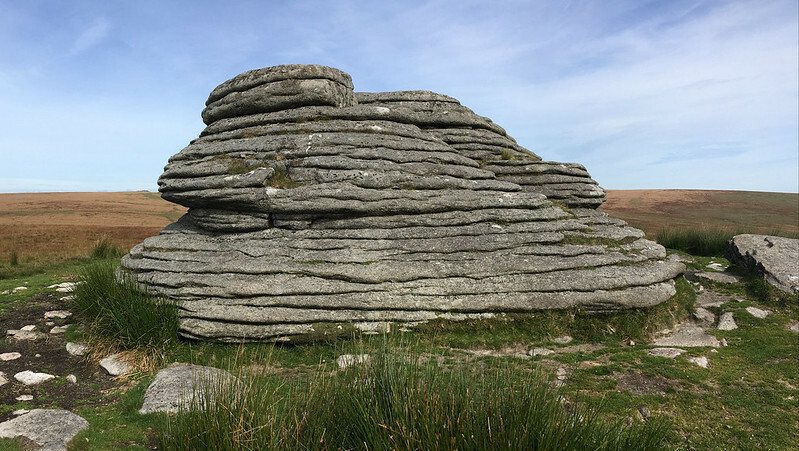 If you include Pew Tor and Smeardon Down it could reach 25, or even 30. After viewing Hen Tor from the opposite bank of the Plym a few days ago (blog post HERE), I really wanted to finally bag this eminence. And whilst the weather today was not as nice as other days, it still held off from raining. 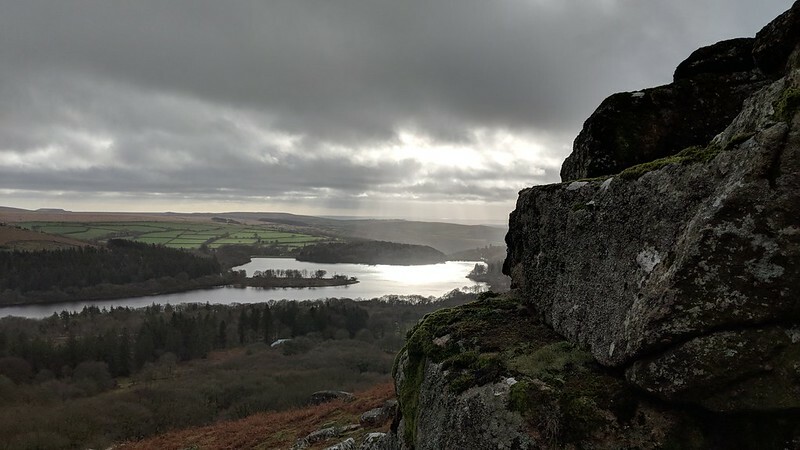 Today was going to be a revisit to one of Dartmoor's more dramatic landscapes; the area around Burrator Reservoir is like a mini Snowdonia as some often say. However, this route would also clear up some unbagged tors too, making all the public tors north of here bagged. This walk was not in the planning; we were originally going to walk up to Three Barrows from Shipley Bridge, but due to the amount of rain we've been getting over the past week, decided against it. Instead, it just so happens, this area is not too boggy and a lot of it is easy footpath walking. 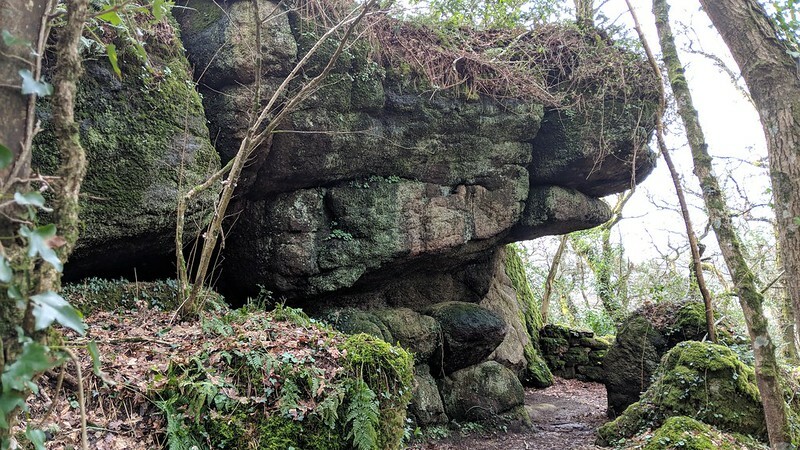 Ever since spotting, on old OS maps, a collection of large outcrops in the wood here, I have been wanting to check them out, even more so after looking at Paul Buck's pics along with Tim Jenkinson's on their visit to the area. What was revealed was and is truly magnificent. So for my 2018 birthday walk (I turned 16), I wanted to go somewhere different. 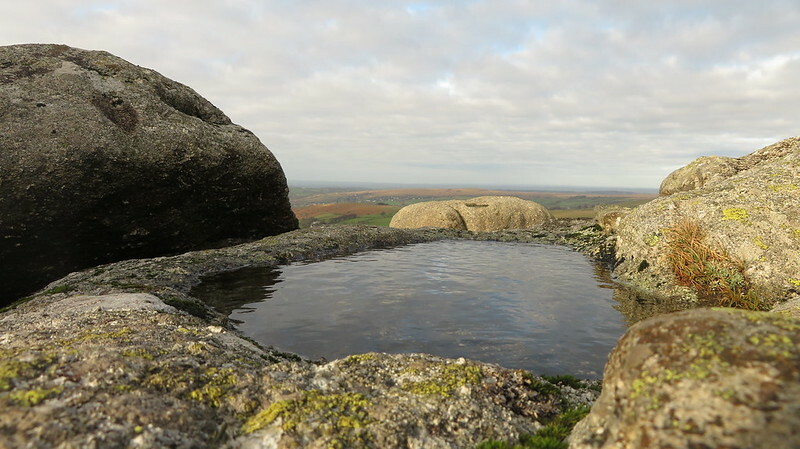 I had planned Kitty Tor, deep into the high moor, but the weather was what the decisions came down to. Instead I found a remote car park onto the moor at Scorhill, the base for our mini tor bagging session. 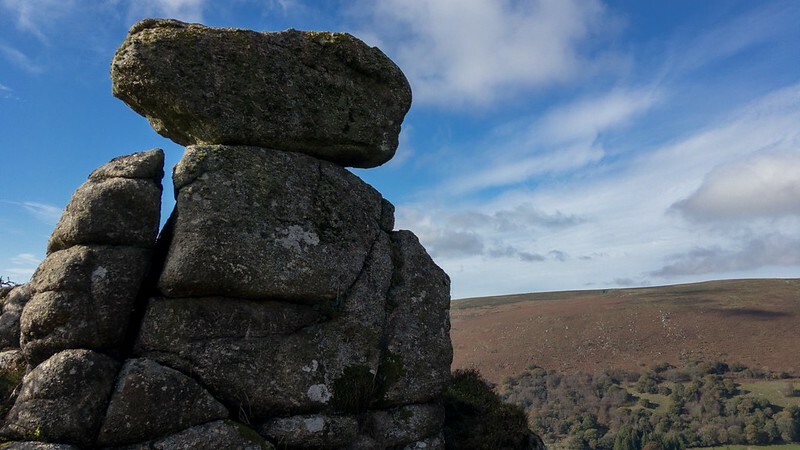 This was my first visit to the so called 'Roof of Devon', comprised of High Willhays, Hampster Tor (though in dispute) and Yes Tor. It was an iffy day but that didn't stop us. 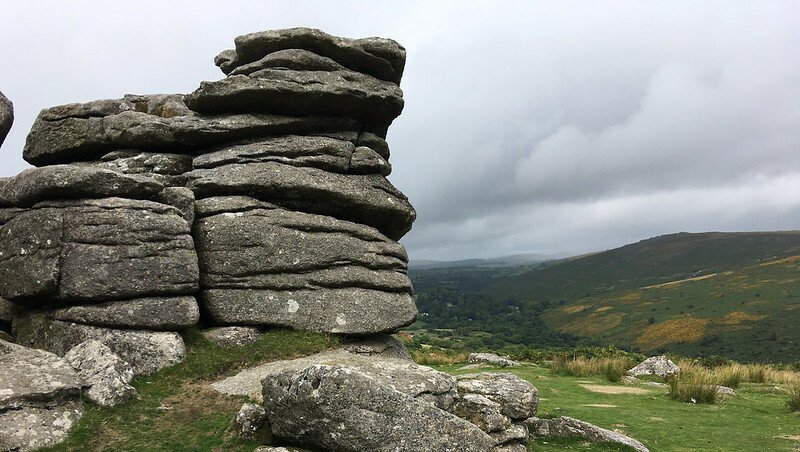 This was going to be an exciting walk, not least because I was visiting the magnificent Pin Tor and Willingstone Rock, but the weather was forecast to be interesting, i.e changeable. 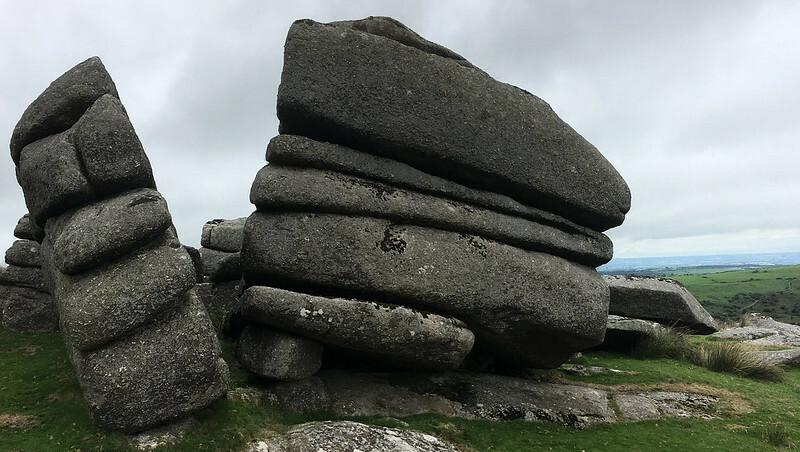 I never tire of visiting Bonehill Down; its tors and landscape are truly inspiring to the eye and it's a great place to get back into tor bagging, with 8 on this route in 3 miles. After I received a painful blister from my 14 mile walk on Monday, this stroll was most welcome. It also enabled me to explore what I would otherwise, to my shame, pass through. 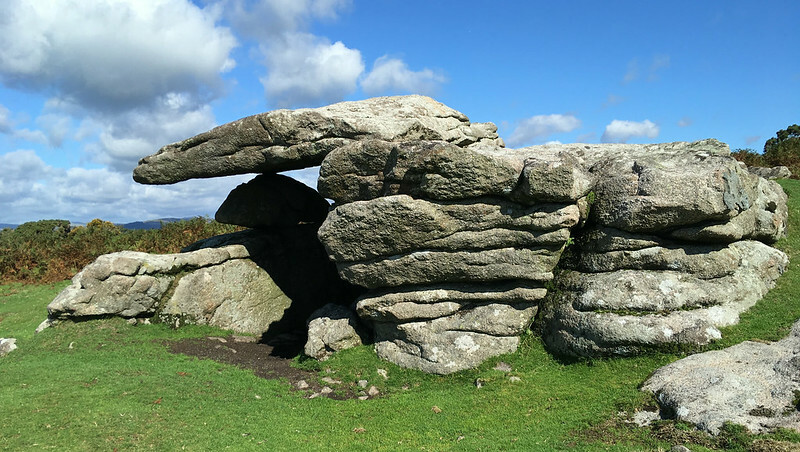 Following on from my Chagford to Manaton blog post linked HERE the main objective of the day was to go and find this bloody tor, known also as Lowton Tor and Loughten Tor. I had attempted once before, but failed; link HERE. I may have to admit that, on this occasion, my goals were a bit too ambitious, and certainly for the time I was allowed to complete this walk. Starting off in Chagford, again, my aim was to clear up a few tors from here to Manaton, including a revisit to Tunnaford Rocks, and successfully bag the elusive Lowton Borough Rocks. 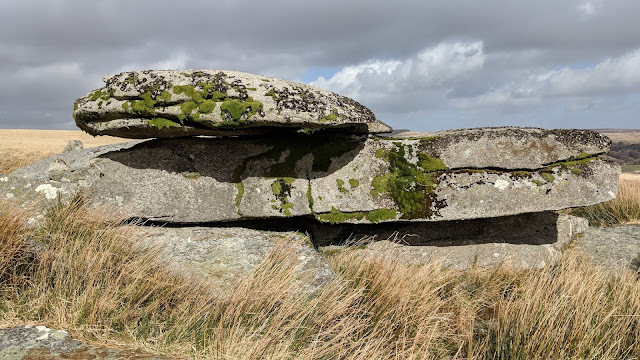 One weekend in late September 2018 I wanted to explore a different side of the moor. 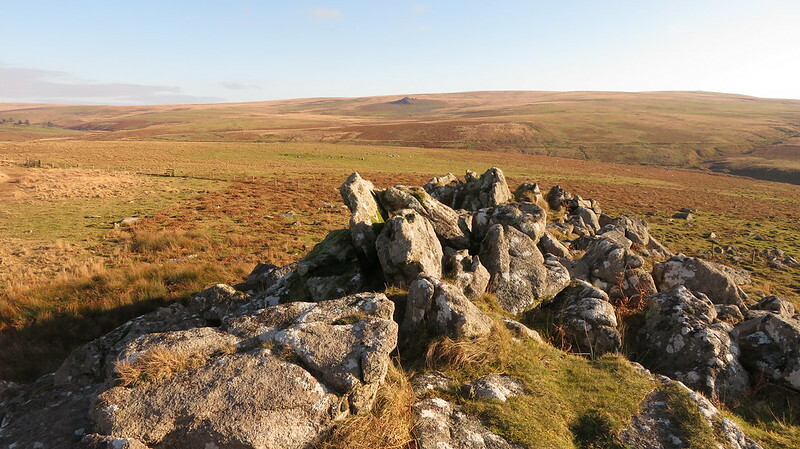 Consulting my map, I came up with a short route from Wotter, on the south-western edge of Dartmoor. I've passed through it a couple times, but never explored some of the tors up on high. 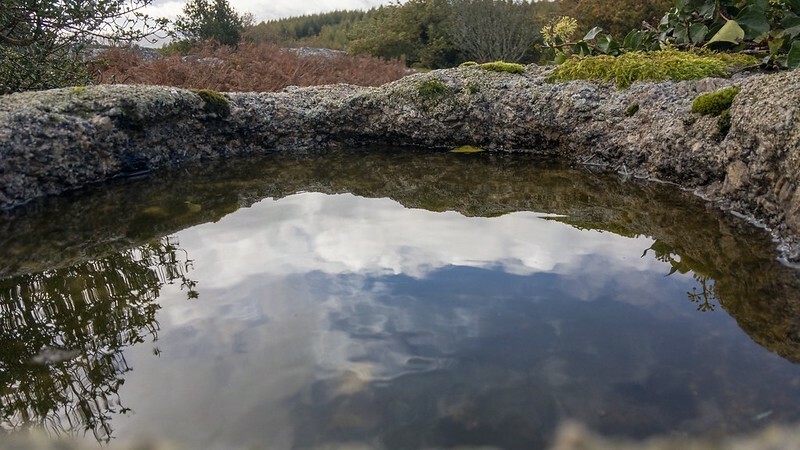 After a short break from blogging I am now, hopefully, back into the swing of things because taking a break could lead to forgetting the walks I had done prior which means no bag! 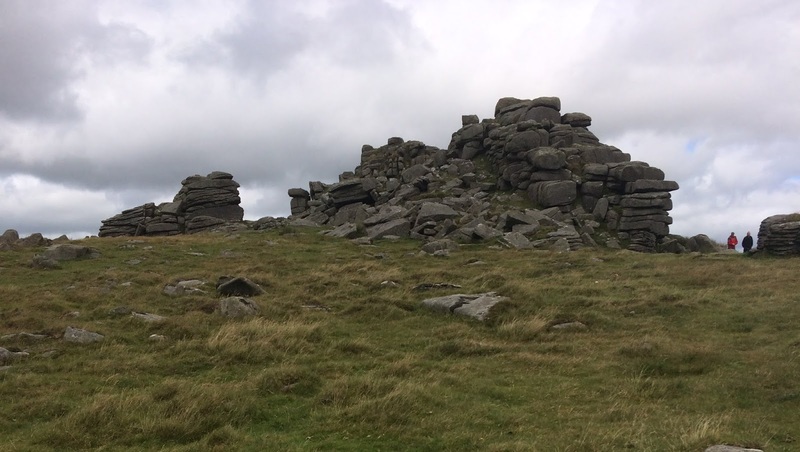 This time we started at the Fox and Hounds, crossed the Lyd and started the ascent up onto Arms Tor. I tried to do it (the climb) in one go: I nearly succeeded but let's just say that I was being thoughtful! As I usually do I was looking deep into my map for a circular walk that would knock off a few tors. 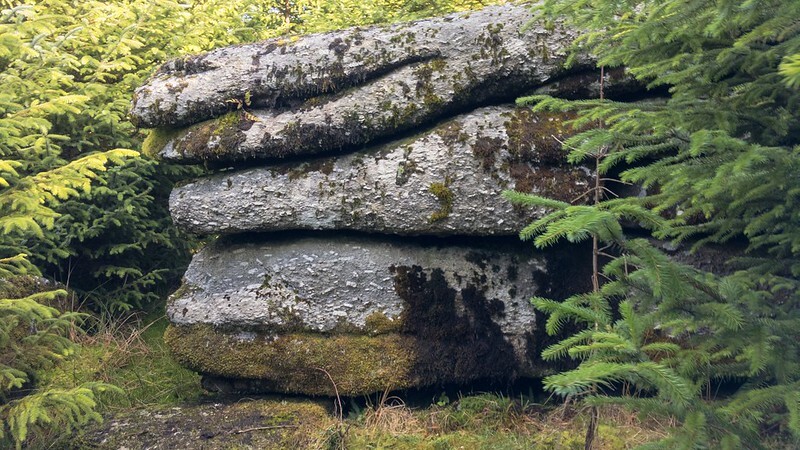 Time to visit the tors on Walkhampton Common near Princetown. Even better that it was sunny. 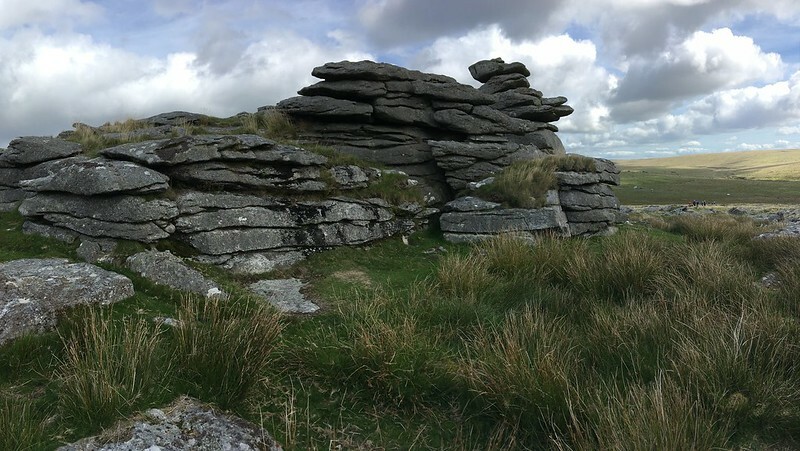 My first week back at school and already I was feeling the pain of not going out, as were the rest of the family, so we decided to make do with the weather that we were afforded on Saturday and bag some new tors on 'High Dartmoor', as well as confirm a visit to East Tor. 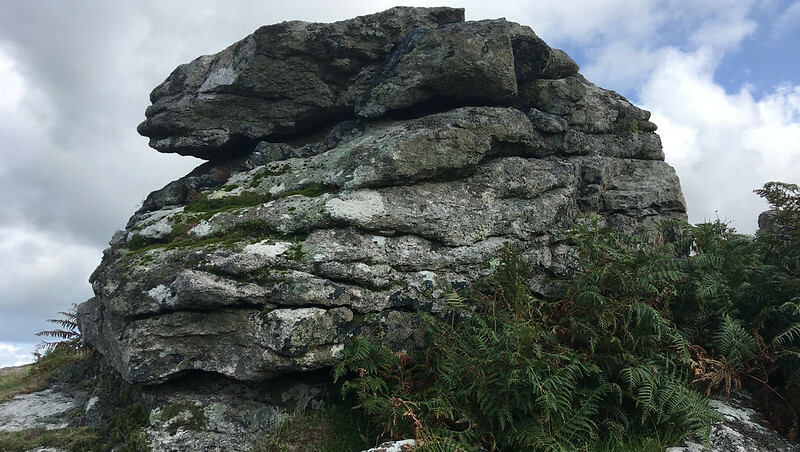 Fellow Facebook member, Peter Freeman had alerted us on our 'Tors of Dartmoor' group a while back to a few possible outcrops in the Dewerstone area. 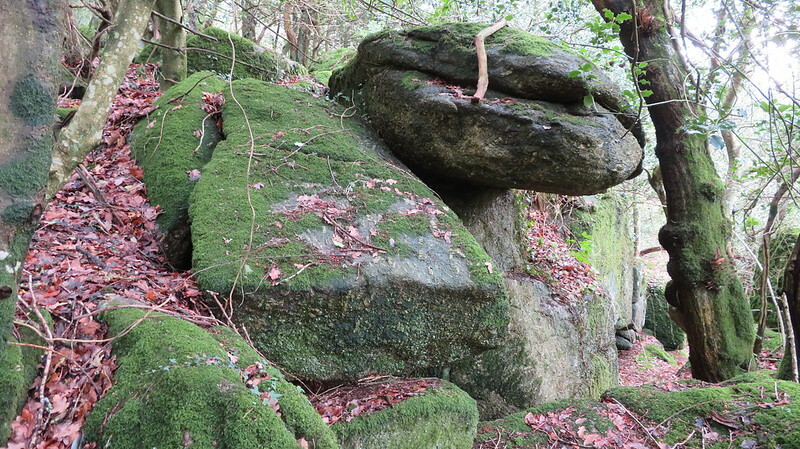 Intrigued, Paul Buck, Tim Jenkinson and I had decided to meet up at Cadover Bridge and go in search of these outcrops. I've split this walk into two parts, all will be revealed as to why later! 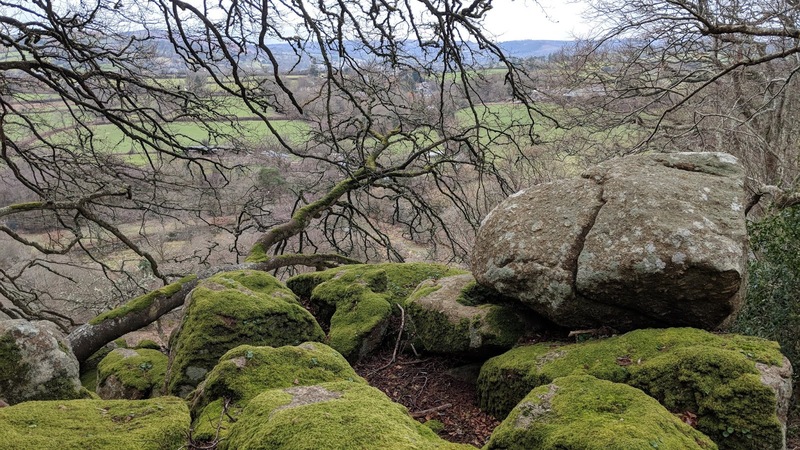 Continuing my walk from the "Longstone", I entered Fernworthy Forest, taking forestry tracks and the road, before bearing right just after the bridge over South Teign, heading south, in search of the Assycombe Stone Row. 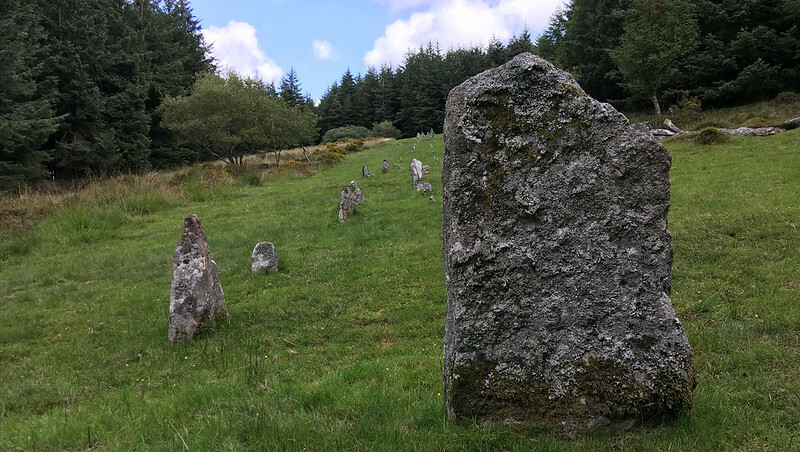 Starting at Chagford, again, a much-loved place on the moor; I was planning on a 9-mile walk today, taking in lots of new bags on the way to Postbridge. The walk actually turned into a 10 and a half mile walk, and the weather was great! 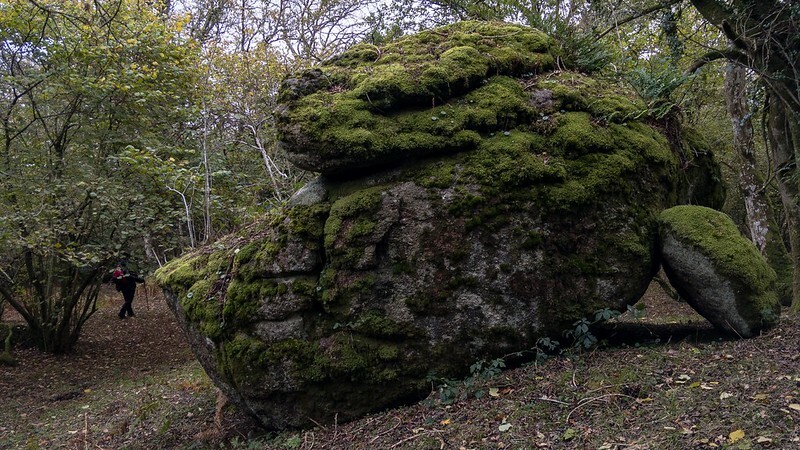 Badger's Holt, at Dartmeet, is not known for its outcrops, not at all. 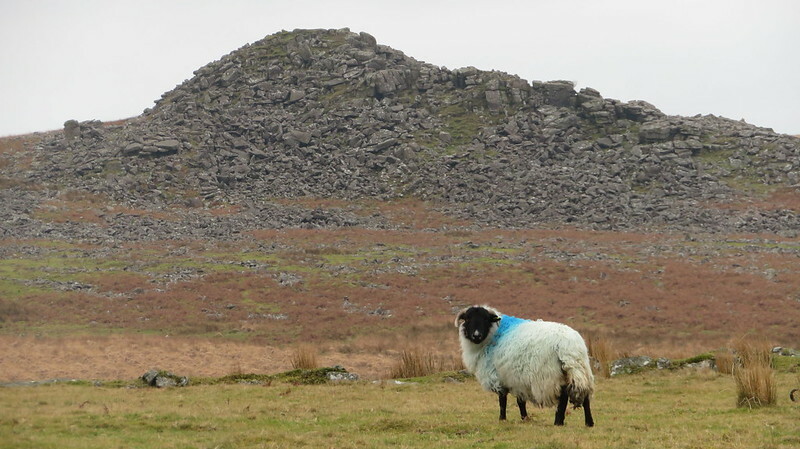 Tim Jenkinson appears to be the only person to have ever described two splendid rock piles here, which is worrying given the popularity of this area. On my visit, I saw many people walk straight past them without a second thought. I didn't. Today's aims were to seek out two finds by Tim Jenkinson, who appears a lot in my blog posts for his excellent work discovering new tors and for his extensive knowledge of the area. It was another one of those days where a minor walk would have to suffice. 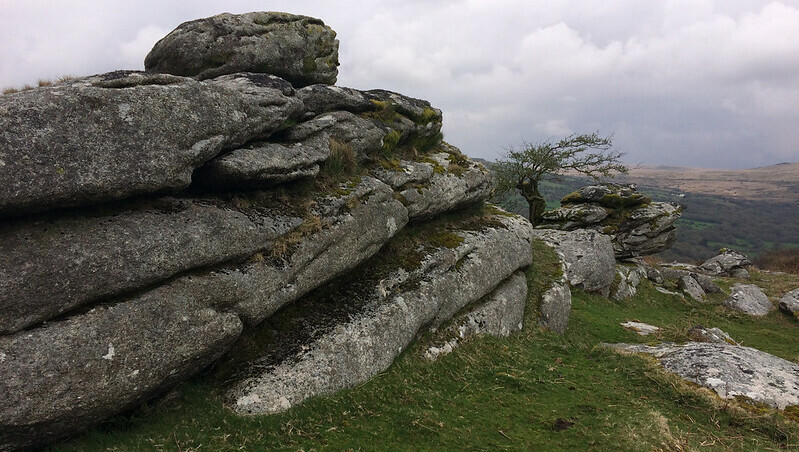 This time taking in Pew Tor and other outcrops in the vicinity, including a possible new outcrop. 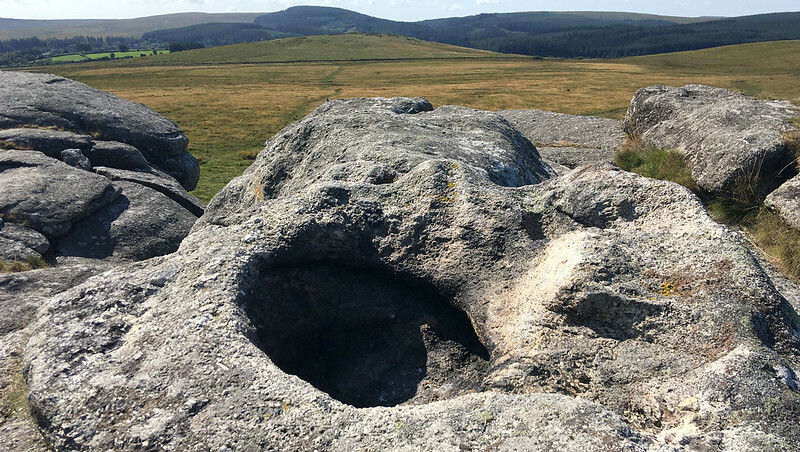 The Dartmoor Cam website (run by Keith Ryan) has introduced 8 new tors into the world of Dartmoor tor bagging within the Roughtor Plantation, near Burrator Reservoir, north of Sheeps Tor. And by providing clear photographs and descriptions, I was keen to check out the location for myself, as was Paul Buck, my companion for the day. The link to the new tors can be found HERE. 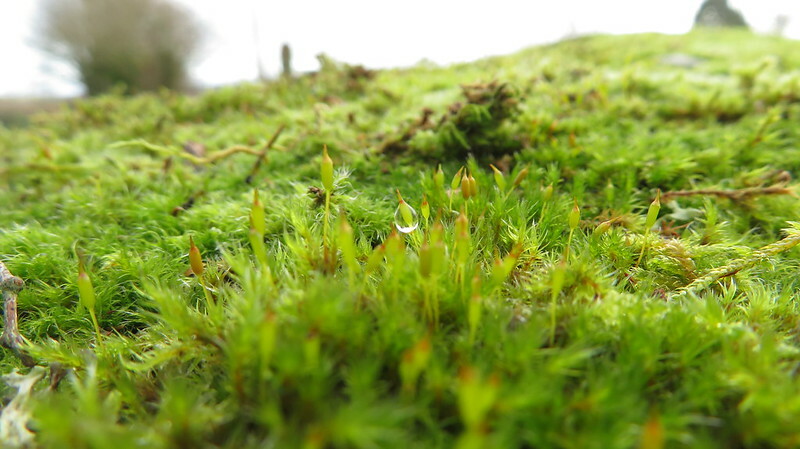 The following blog post is the combination of two consecutive weekends within East Dartmoor's Castor Copse, thus the photos used will be from both walks. 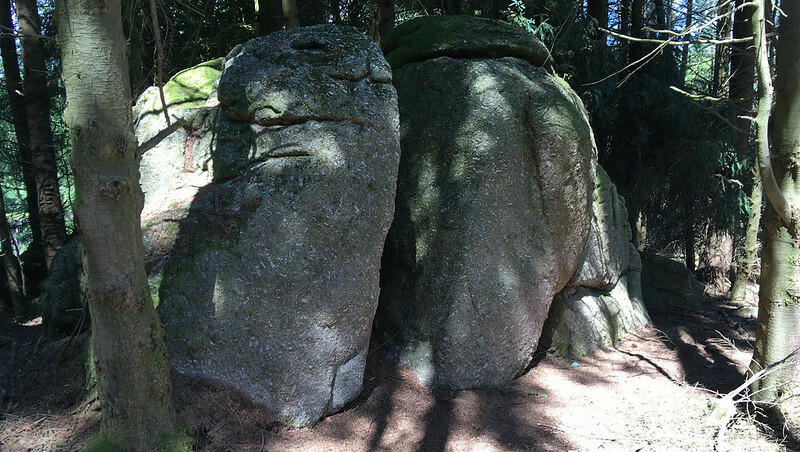 I felt a wealth of granite on my solo visit so I thought I'd alert them to tor explorers Tim Jenkinson, and Paul Buck. 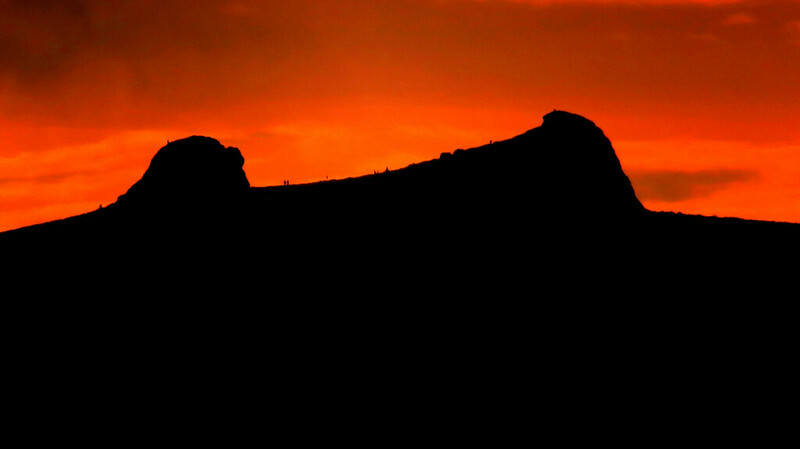 The weekend after my first visit we went off exploring for ourselves more lesser known tors. 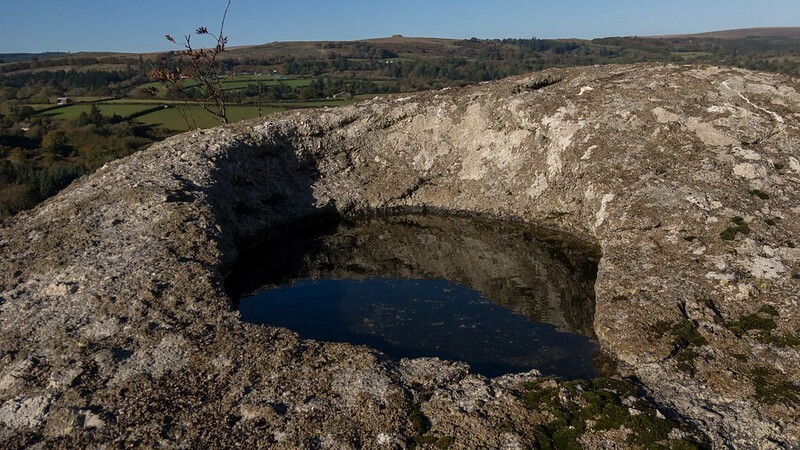 I have always wanted to visit Belstone Common, and bag every tor here, but location and lack of time has never worked in my favour. Upon having a full day with full sunshine free, I did exactly that!